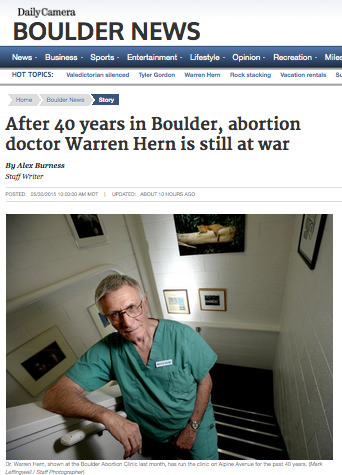 Warren Hern's Been on Trial in Denver. Really. Bob Enyart gets a report from a BEL co-host who's been inside the federal courtroom where a woman who paid the late-term abortionist to kill her baby sued Hern. The abortionist left most of the baby's skull inside the mother. Listen to the show to hear the verdict of the liberal pro-woman Denver jury. And hear also how Boulder's Daily Camera newspaper recently quoted both Hern and Bob Enyart's response. * Update -- Boulder Daily Camera Quotes Bob on Hern: see below.